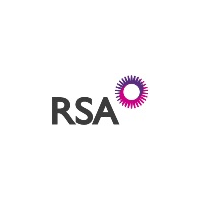 The trading price for RSA Insurance Group plc ticker lookup code: LON:RSA has gained 2.27% or 11.6 points throughout the session so far. Traders have stayed positive throughout the trading session. The periods high has already touched 523.8 and hitting a low of 510.6. The total volume of shares exchanged so far has reached 1,270,142 while the average shares exchanged is 4,098,609. A 52 week share price high is 683.4 which is 172.4 points difference from the previous close and the 52 week low at 490.4 which is a variance of 20.6 points. RSA Insurance Group plc now has a 20 moving average of 535.92 and now its 50 day simple moving average now at 528.78. The current market cap is £5,366.85m at the time of this report. All share prices mentioned for this stock are traded in GBX. Mcap is measured in GBP. This article was written with the last trade for RSA Insurance Group plc being recorded at Friday, March 1, 2019 at 12:07:58 PM GMT with the stock price trading at 522.6 GBX. Shares of NMC Health PLC with company EPIC: LON:NMC has increased 1.85% or 50 points during today’s session so far. Buyers seem confident during this period. Range high for the period so far is 2772 and hitting a low of 2718. The total volume of shares exchanged through this period comes to 124,172 whilst the daily average number of shares exchanged is just 911,348. The 52 week high price for the shares is 4376 about 1672 points difference from the previous days close and putting the 52 week low at 2508 a difference of some 196 points. NMC Health PLC now has a 20 moving average of 2729.22 and now its 50 day moving average of 2757.02. Market capitalisation for the company is £5,734.12m at the time of this report. All share prices mentioned for this stock are traded in GBX. Mcap is measured in GBP. 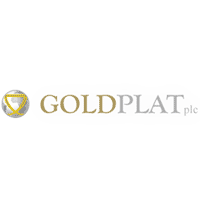 This article was written with the last trade for NMC Health PLC being recorded at Friday, March 1, 2019 at 12:06:48 PM GMT with the stock price trading at 2754 GBX. Stock in Paddy Power Betfair PLC EPIC code: LON:PPB has moved up 2.16% or 130 points in today’s trading session so far. Investors have remained optimistic during this period. Range high for the period so far is 6210 dropping as low as 6045. The total volume of shares exchanged through this period comes to 27,693 with the daily average number around 317,663. The 52 week high is 9184.9 equating to 3154.9 points different to the previous business close and a 52 week low sitting at 6000 which is a variance of 30 points. Paddy Power Betfair PLC now has a 20 SMA of 6344.72 and now its 50 day moving average now of 6377.67. This puts the market cap at £4,831.28m at the time of this report. Share price is traded in GBX. Mcap is measured in GBP. This article was written with the last trade for Paddy Power Betfair PLC being recorded at Friday, March 1, 2019 at 12:06:16 PM GMT with the stock price trading at 6160 GBX. Stock in Prudential plc ticker lookup code: LON:PRU has gained 1.13% or 18 points during today’s session so far. Traders have stayed positive during the trading session. The periods high has reached 1623.5 and a low of 1596. The total volume traded so far comes to 1,080,571 with the average number of shares traded daily being 4,644,693. The 52 week high is 1962 amounting to 372 points difference from the previous days close and the 52 week low at 1324.99 which is a variance of 265.01 points. Prudential plc now has a 20 SMA of 1542.25 with a 50 day MA at 1490.14. The current market cap is £41,697.56m at the time of this report. The share price is in Great British pence. Mcap is measured in GBP. This article was written with the last trade for Prudential plc being recorded at Friday, March 1, 2019 at 12:07:53 PM GMT with the stock price trading at 1608 GBX. Click NMC PPB PRU RSA for the full archive.